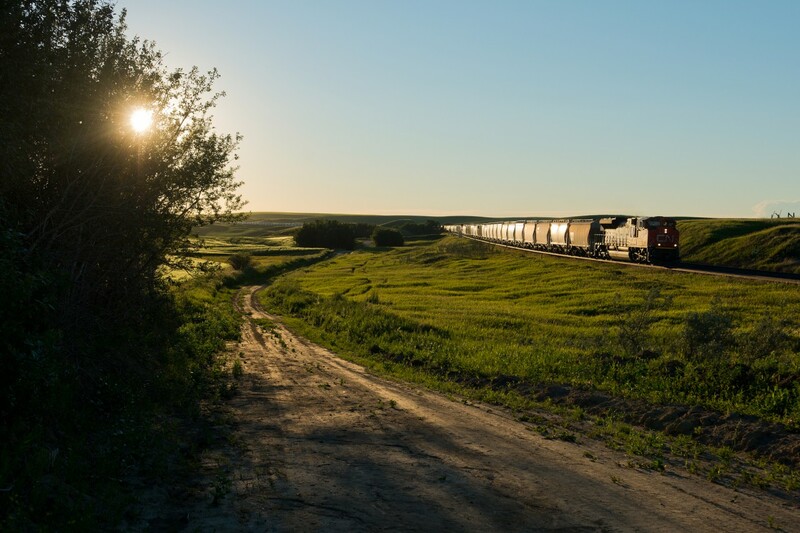 Railpictures.ca - Matt Watson Photo: The time is 20:39 and the sun is inching closer and closer to the horizon in Keppel Saskatchewan. CN 8876 is the sole unit on train 210, a train consisting of 200 empty frac sand cars. | Railpictures.ca – Canadian Railway Photography – photographie ferroviaire Canadienne. Caption: The time is 20:39 and the sun is inching closer and closer to the horizon in Keppel Saskatchewan. CN 8876 is the sole unit on train 210, a train consisting of 200 empty frac sand cars.